In this work, the structural, electronic, magnetic, and optical properties of Mn2ZrGa full-Heusler alloy were investigated by using density functional theory (DFT) calculations. It is found that the spin-up states have a metallic character, but the spin-down bands have a pseudo-gap at the Fermi level. The total spin magnetic moment of Mn2ZrGa (per formula unit) is 3.00 µ B at an equilibrium lattice parameter of 6.15 Å. The calculations show that Mn2ZrGa is a ferrimagnetic with 81% spin polarization at equilibrium lattice parameter. 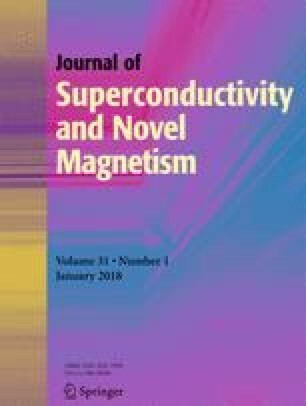 The effect of lattice parameter distortion on the magnetic properties and spin polarization is also studied. It is found that the total magnetic moment preserves its value for a lattice parameter range of 5.96–6.30 Å. The decreasing of the lattice parameter leads to improvement of spin polarization. The real and imaginary parts of dielectric function and hence the optical properties including energy absorption spectrum, reflectivity, and optical conductivity are also calculated. The value of plasma frequency for spin-up and down electrons is located at 1.78 and 0.74 eV, respectively.